Services | Pengad Indy Inc.
Pengad Printing offers a breadth of services sure to fit all your printing needs. From pre-press to delivery, we'll help you every step of the way. We are your top-quality, full-service commercial printer. Our pre-press department will convert your documents and align layouts, sending you proofs to keep you involved throughout the entire process and ensuring everything matches your specifications. Both our proofers and production presses are G7 Certified to ensure your product is of the highest quality with the truest colors possible from screen to proof to press. With a wide variety of coating options (UV and aqueous) and limitless substrates to choose from, we can work together to create a truly unique product. Pengad LogoMall offers a wide variety of customizable promotional products. We offer everything from customized water bottles to sponges, pens to golf balls. With a large variety to choose from, including a sizable selection of eco-friendly products, we're sure you'll find the right piece for your company's needs. If you don't see a product your interested in, give us a call and we'll find it for you! With experience from standard to out of the box packaging solutions, we'll work with you to make your product pop off the shelf. With in-house die-cutting, folding and gluing capabilities we can produce custom packaging at minimal cost to you. 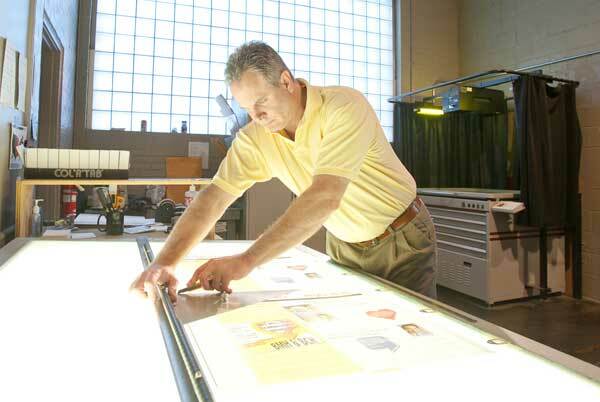 Bindery solutions can put the finishing touch on your piece that gives it that professional air. Spiral, comb, perfect and staple binding are just a few of the services we offer. Choose a custom cover stock to really make it stand out. And once your piece is done, we'll deliver it right to your doorstep. From local to national and even international delivery Pengad Printing will get it there on time every time! A style or design of type. Type Facei encompasses shape, weight and proportions that make it distinct from other type faces.